The organisational communication scene has seen a lot of activity in recent times, with players like Facebook entering this space. Home-grown communication tool Flock, launched around a year and half ago, claims to have gained some ground in this field. The organisational communication scene has seen a lot of activity in recent times, with players like Facebook entering this space. Home-grown communication tool Flock, launched around a year and half ago, claims to have gained some ground in this field. According to the start-up, it has already seen 200,000 app downloads across desktops and mobile devices. Flock runs on a free-for-use model, and also offers premium services at a price. For example, when using the free plan, a person can share up to 100 files of 100 MB size each, and can see 30-day conversation history; in the premium plan - priced at $3 per user per month - users can share up to 1000 files of 100 MB size each and see unlimited search history. While the app can be used by teams as well as organisations, it has an Enterprise Plan, too. 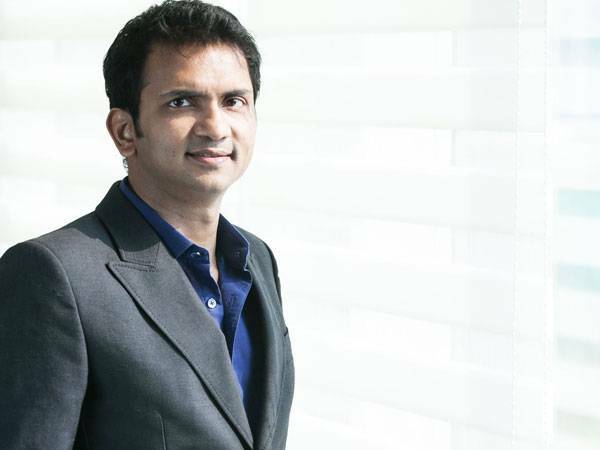 According to its founder and CEO Bhavin Turakhia, the start-up has received $5 million investment from parent company Directi, an Internet domain name registrar company which is planning to invest a greater chunk, going forward. In a conversation with Business Today, Turakhia explains how communication within organisations is slated to evolve. BT: Is Flock a productivity tool or messaging tool? Turakhia: Flock makes it very easy for teams working on a project or trying to collaborate and communicate within an organisation or across organisations to communicate, exchange files, messages, send reminders, etc. You can also create groups for your project or your team, share media, share content and create opinion polls. Flock also provides productivity tools such as to- dos, reminders, polls, video conferencing, audio conferencing, messaging, file sharing and group texting, that make communication and collaboration easier. BT: What kind of response has Flock seen so far? Turakhia: It has received a very good response. People are spending almost eight to nine hours a day on it. Last time I checked, there were 20,000 domains that had signed up on the app, and of those 7,674 are from India. But about 90 per cent of our customer base is from different countries. As a group, we have an office in nine locations. BT: How is Flock different from Slack? Turakhia: Our user interface is 100 times better than Slack. It is much cleaner, faster and smoother compared to Slack, or any other product out there. Slack is much more about messaging and integration; so it allows you to do messaging and then you can integrate notifications from other services. At Flock, we go beyond messaging - not only can you message but also send out an opinion poll, set reminders and much more. In India, our competition is WhatsApp being used for work. BT: How did the idea come about? Turakhia: Organisational team communication and collaboration is an area which has not really been disrupted since a long time. Last disruption was email, about 15 years ago. Back then, not everyone was using email; but today, you don't find a single employee who doesn't have an email account. The email market has evolved over the past 10 years, and I feel instant messaging and organisation collaboration tools within the organisation/ teams will be evolving the same way. Our computers have changed, our mobile devices have changed. We have data connectivity everywhere and we have more powerful phones. Communication has become much more real-time and purpose-centric. Email is just one side of it. Flock is going to become the de facto for organisational communication. People we have interviewed have told us that they have seen a 35-40 per cent boost in productivity after using Flock. BT: Do you think communication tools will phase out emails eventually? Turakhia: I don't see one communication tool phasing out email. Email has its own place. What will happen is that the reliance on email will reduce, as it is not an ideal mode for many different communication scenarios. Both of them will have a place in the organisation. BT: How will the launch of Facebook at Work impact this space? Turakhia: The more interest this space generates from big players, the better it is for everyone. Facebook at Work is more of a social network for enterprises. It is more about sharing social stuff and posts. I don't see them directly competing with us. I see them as a parallel tool. Surely there will be some element of competition.